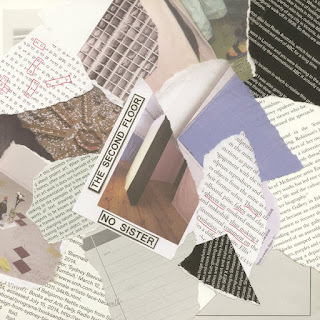 There have been somewhere in the neighborhood of a bazillion bands influenced by Sonic Youth since they came into existence nearly four decades ago, but leave it to Australia to finally give us a group of kids who apparently have decided to just become Sonic Youth, called No Sister. And you know what? It’s totally fine that No Sister sound exactly like them, because the kids need some Sonic Youth in their lives, and the chances of the real Sonic Youth reforming after that tumultuous Kim Gordon / Thurston Moore break-up are next to nil. Sure, what Moore and Lee Ranaldo are still doing sounds Sonic Youth adjacent, but it doesn’t have the fire of their late eighties/early nineties material, and that’s the area No Sister are exploring. Is it a coincidence their name is almost identical to one of the most important records from this era of Sonic Youth ("Sister"), the exact era they sound like? I highly doubt it. I honestly don’t have a lot more to say about this. I like it. I don’t care if it’s sorta kinda basically a rip off of someone else I love. My heart has room for both. 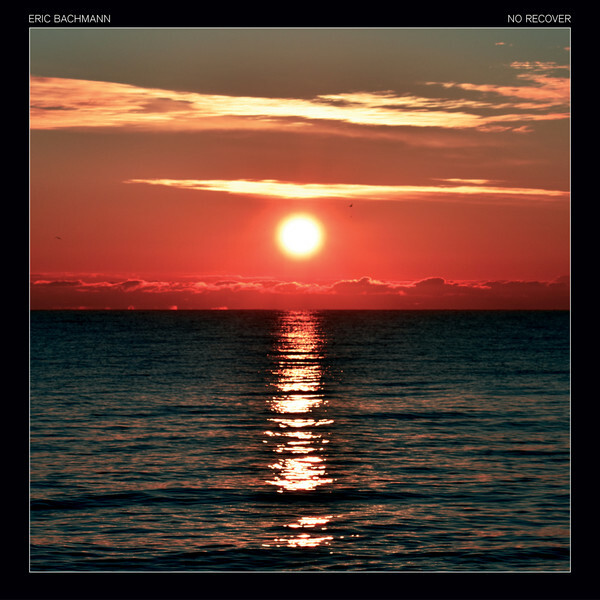 The latest release by former Archers of Loaf frontman Eric Bachmann, “No Recover,” feels like a natural continuation of his excellent self-titled record from 2016. That was my favorite album to come out that year and I still listen to it all the time, if we’re keeping score at home. “No Recover” is missing the strong “doo wop-esque” female backing vocals that were heavily featured in 2016, instead opting this time for more subtle collaboration via his former bandmate/frequent collaborator/current wife Liz Durrett (backing vocals) and for the first time since Archers of Loaf ended, Eric Johnson (guitar). Anyways, back to “No Recover” – it’s just goddamn fantastic. Bachmann’s output is stripped down and simple without being simplistic, catchy without being cloying. Sure, I’m coming at this as a fanboy who loves every goddamn thing this man touches, but even within that framework I’m telling you this is an exceptional collection of Bachmann’s work. Opener “Jaded Lover, Shady Drifter” sounds like a long lost Kris Kristofferson song. “Daylight” is a masterclass in layered fingerpicking and Bachmann’s not-used-nearly-enough falsetto (or at least what I think is meant to be a falsetto, from a man with a voice as deep as his). “Murmuration Song” is the highlight of the album, probably the most upbeat number and one that sounds like it would fit in nicely on the first “Crooked Fingers” album (that's a huge compliment in my book, that record is perfection). And that’s just the first three songs - I could do this for every track on “No Recover” if pressed, but I think you get the idea. This won’t be my favorite record of 2018, but that has more to do with the quality of this year than anything negative about “No Recover.” It will most definitely finish high on my list though, another excellent addition to the musical landscape from Eric Bachmann. 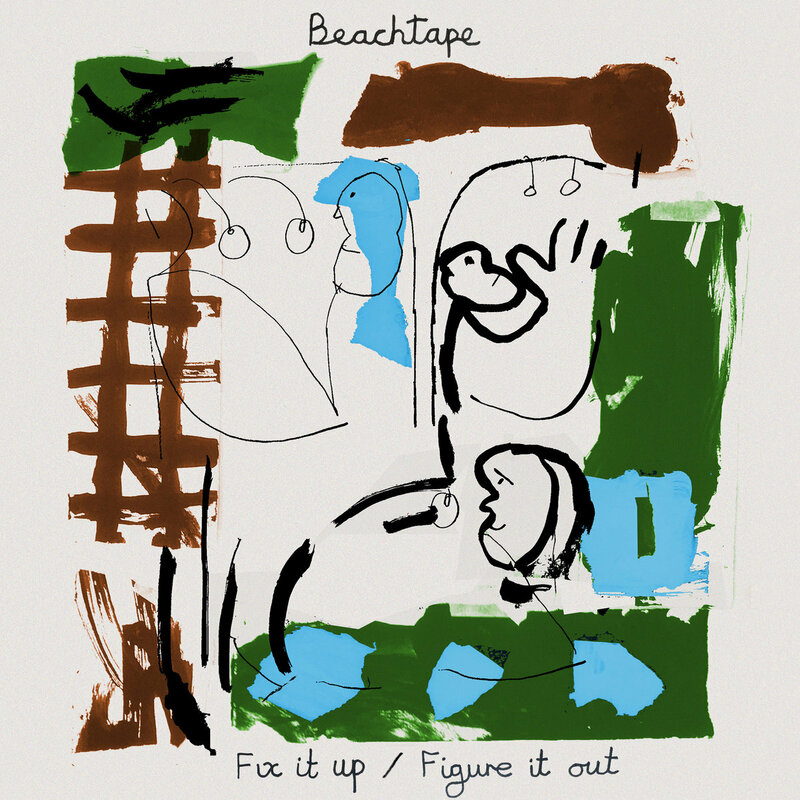 There are so many goddamn "Beach" bands right now that I actually downloaded this Beachtape single, along with a bunch of other "Beach" bands, just for shits and giggles and possibly to make fun of the whole lot of them. The thing is, this pair of songs is pretty damn good and I can find nothing snarky to say about it. The band is from the British beach town of Brighton, so maybe that "beach" name makes sense after all. The music also has a sunny, summer vibe to it, leading further credence to the "beach" name... even if the sun hasn't actually shown on a British beach since at least the late nineties. 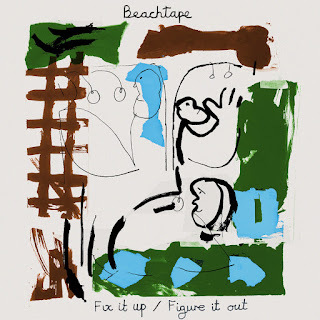 This reminds me a bit of early Teenage Fanclub with breathier vocals, and maybe a tinge of Weezer ("Blue Album" era) - specifically on the b-side "Figure It Out." Maybe the best touchstone would be the long lost 764-Hero, but I'm not sure enough folks remember or were ever aware of them to get the reference. I look forward to a full-length from these kids to see if they can replicate the high quality of these two tracks. It’s right there in the bible, clear as day – “and on the seventh day, god told Jason Pierce to stop dicking around and release a new friggin' Spiritualized record already, because he needed some new jams what with all the laying around on clouds he had planned.” Pierce has done four and five year gaps recently, but this time it was six – and I’m not at all fan of the direction these waits are trending in. 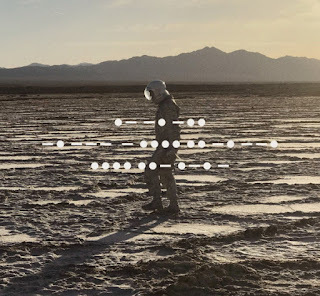 In fact, there has been some talk this is the last Spiritualized album, but I flat out refuse to believe that. Yeah, no one will be surprised if the next record takes forever, but I have a hard time believing Pierce will ever completely stop making music. Gorgeous, amazing music, music the world needs, even if they don't know it. The opening two tracks "A Perfect Miracle" and "I'm Your Man" got released a few weeks before "And Nothing Hurt," so I've been living with those for a while. 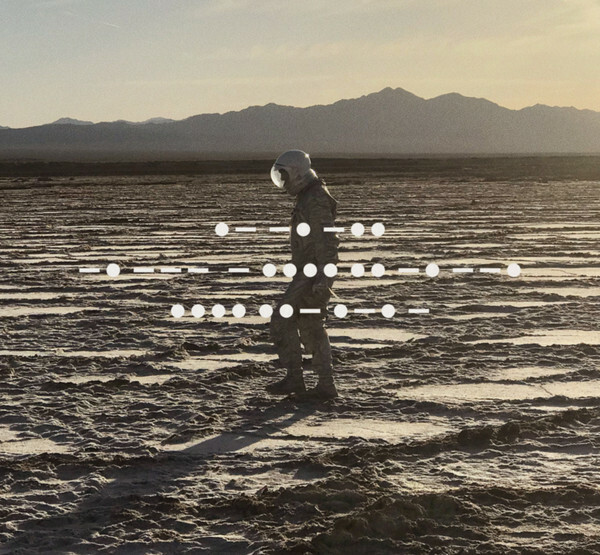 They're damn near perfect encapsulations of what it is that makes Spiritualized so incredible - lush, mesmerizing orchestral compositions paired with British pop that often feels and sounds more like lullabies than rock music. That's the bulk of the album at least - there are always a couple of harder rockers too, and for this release they are the upbeat bluesy numbers "On The Sunshine" and "The Morning After." Both of which you could easily imagine as undiscovered outtakes from "Exile On Main Street" if Pierce's voice sounded at all like Mick Jagger. You know what other songs are a highlight here? Every goddamn one of them. I've already complained about how long it took Pierce to make "And Nothing Hurt," but when you listen you can kinda hear why - it gives off the vibe that every note was finely crafted and fretted over before it was ever agreed that it would be released to the world. And even if I might get antsy about how long you have to wait between Spiritualized albums, I also wouldn't change a damn thing if this is the result. It may or may not be fair, but when a band has been around as long as the Jayhawks, my expectations with their new material are fairly low - at this point, their back catalog of good music is so deep any new addition that's enjoyable is seen as a bonus, and anything bad is easily forgotten. 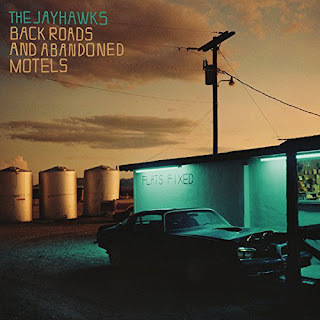 The thing is, very little of "Back Roads And Abandoned Motels" is actually new - these are songs that front man Gary Louris wrote either with or for other performers (the Dixie Chicks, Jakob Dylan, and others). Louris apparently liked these particular compositions enough that he decided the Jayhawks should produce their own versions of them as well - and I'm quite glad they did. Louris even allows other band members tackle lead duties in a few places - particularly noteworthy is album opener "Come Cryin' To Me," supposedly sung by keyboardist Karen Grotberg but I'm not entirely sure it isn't really Aimee Mann singing and this is all an elaborate joke designed to fool fans*. My other favorite is "Gonna Be A Darkness," written with Dylan for the show "True Blood" that thankfully got rescued and repurposed, because it's a high water mark in Louris' storied song-writing career. He actually performs with Dylan on the original version, but this Jayhawks rendition is the superior version for my money. Let's get real - the band is highly unlikely to ever release another "Tomorrow The Green Grass" or "Hollywood Town Hall" or even "Rainy Day Music," but they're still producing high quality music that deserves to be heard, no small feat for a band with so many years and so many changes under their belt. *I actually saw Karen sing this song in concert quite recently, so I guess I have to accept this isn't Aimee Mann...but it still feels suspect. 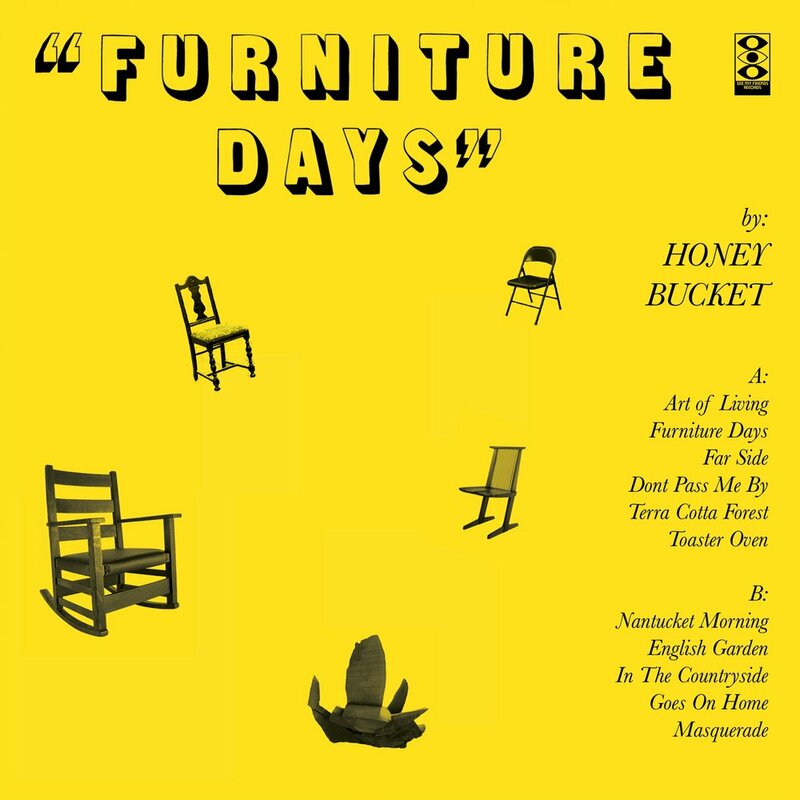 I’m not sure what prompted me to downloaded this HoneyBucket album more – the ridiculous cover art or that their name is a euphemism for a portable shitter. Either way, I’m always looking for new music that I don’t forget about 15 minutes after hearing it, and this Portland band is currently doing the trick. The music reminds of a weird crossroads between the Clean (the early years) and Devo, jangly and angular and thin in the right sort of way. The vocals, which are mostly spoken rather than sung, seem clearly influenced by the Modern Lovers and early Jonathan Richman, or maybe even a non-jokey Dead Milkmen. The press release I found online from their label made some mention of Captain Beefheart, and I can see where the comparison might come from, but this album is way too catchy and listenable to be compared to that band I’ve tried (and failed) to listen to more times than I can count. I enjoyed this so much I ordered the record – see, downloading random bands from the internet just because they have a funny name does pay off! The Rock*A*Teens were a Merge records mainstay in the late nineties and early oughts, frequently opening for Superchunk or one of the other Merge bands I was always seeing play live. I never really liked or disliked them, but I was often annoyed that I had to sit through another set by them to get to the band I actually wanted to see. 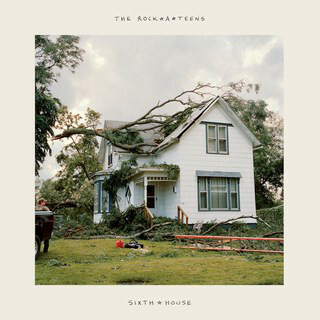 Fast forward nearly two decades later, and after a lengthy hiatus the band returns with “Sixth House,” their sixth album (I’m sure that name was a coincidence)…and I quite dig it. Have the Rock*A*Teens changed? 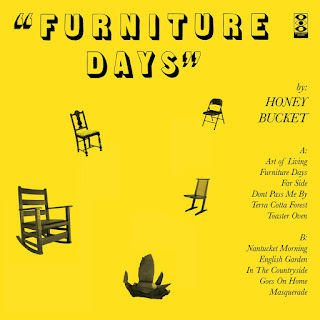 Honestly, not really – a little more mature I guess, and a little less noisy, but they’re still doing the same southern, jangly indie pop that’s the musical equivalent to a humid southern night. The bulk of the original line-up remains intact, including frontman Chris Lopez - whose distinctive vocals have always defined the sound of the Rock*A*Teens. He manages to somehow sound angry, intoxicated, and hurt all at the same time when he sings, no small feat. I think my change of opinion with this act is more on my maturing tastes than anything the band has or has not done. There is no finer moment on this album than the anthemic “Go Tell Everybody,” a song begging to be sung along to after the first listen even if all you know is the chorus, and an easy choice as one of the best tracks of the year. The rest of "Sixth House" is pretty swell as well, and certainly worth a listen even if you were never a fan the first time around. Music reviews in conjunction with the website www.doginasweater.com. Many of the older reviews likely appeared in one of the now defunct places that used to publish my crappy, misspelled writing. Want to send anything my way to check out - email thomas.magnum at gmail. check out the parent website... http://www.doginasweater.com/ 2008 - current: These reviews are from my time here in the Triangle of NC. Pre-2008: These reviews were from when I lived in the Bay Area and likely appeared on the website Playing in Fog.